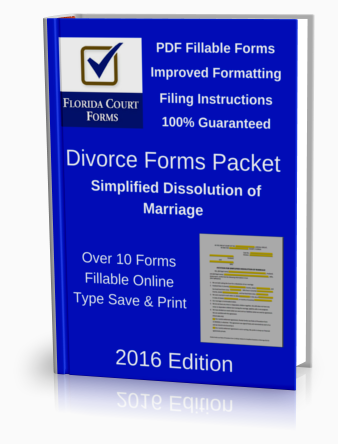 Our premium Florida divorce forms packet, DFP901A, includes all the forms in PDF fillable format and step by step filing instructions for an simplified uncontested divorce in Florida. 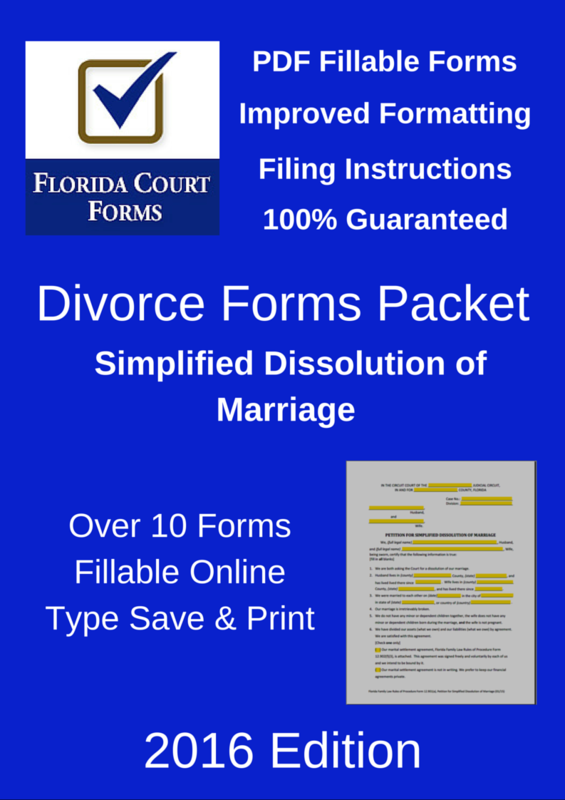 With our divorce forms packet, you'll have all the forms you need in fillable PDF format, and the do it yourself instructions to successfully file for a Florida's Simplified Dissolution of Marriage, guaranteed. Over 10 PDF fillable forms, required and procedural forms.